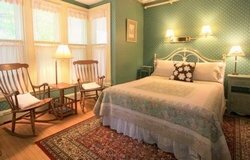 Located in a charming coastal village, this Freeport, Maine bed and breakfast is a cozy, comfortable base for your Maine babymoon vacation. The historic inn is just a few minutes drive to beaches, museums, Wolfe Neck Woods hiking trails, birding spots and winter activities such as cross-country skiing, snowshoeing, and ice skating. You can even get a shopping "fix" because the Freeport outlets and LL Bean flagship store are just a short stroll from the inn. A certificate for ice cream at Ben & Jerry's and a stuffed toy lobster! 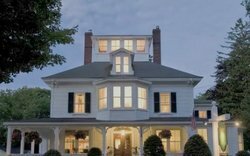 The Maine Stay Inn is a romantic bed and breakfast in the quaint seaside village of Kennebunkport. Perfectly located in the quiet residential Historic District, the inn is just a short stroll along tree-lined streets to the fine shops, galleries and restaurants of Kennebunkport's Dock Square. Nature trails, sandy beaches and quiet coves provide a tranquil setting for your babymoon escape. Just one hour north of Boston and a 45 minute drive from Portland is Cliff House, a stunning waterfront hotel offering luxury accommodations with breathtaking views. 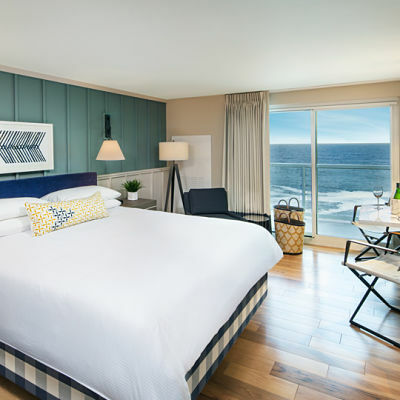 Perfect for a romantic getaway, each room features a private terrace either facing the ocean or overlooking the coast.